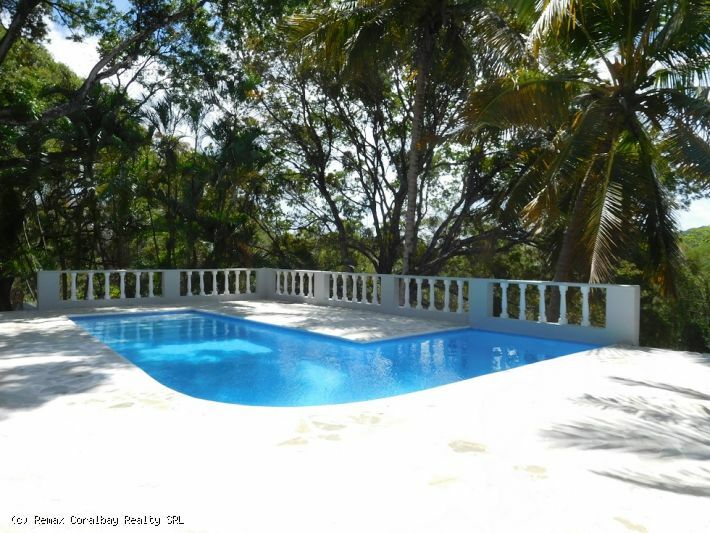 This beautiful villa is offered for sale on the north coast of the Dominican Republic in a popular residential community in Sosua. 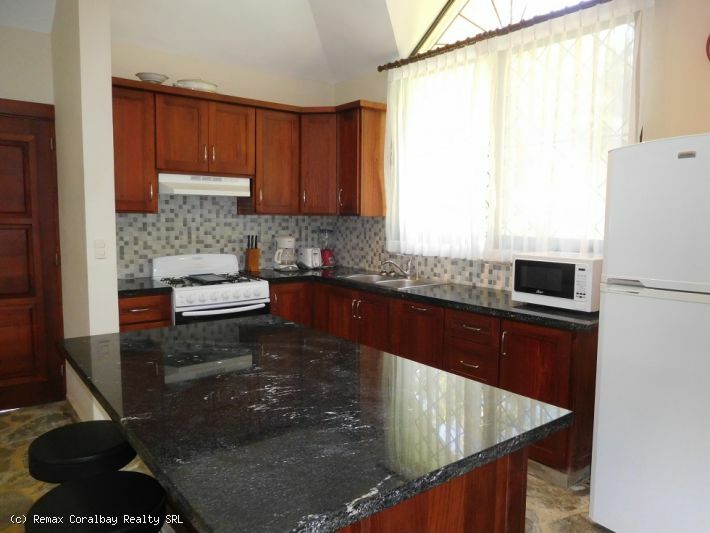 This villa is offered for sale TURN-KEY including a SUV. 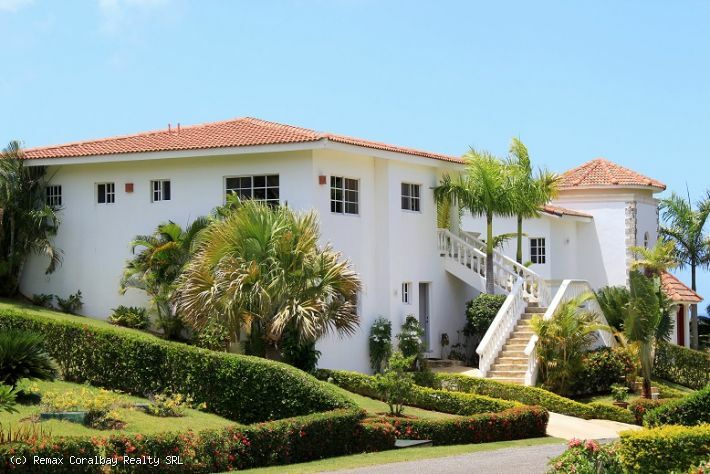 The property sits on just under half acre and offers panoramic views across to the Atlantic Ocean. 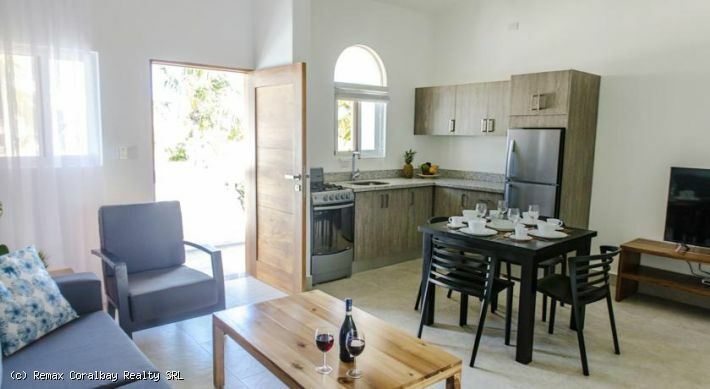 The villa is accessed via a driveway with automatic gates and surrounded by landscaped gardens. he ground floor offers 3 bedrooms and a large open plan kitchen / living / dining area. Moving through the villa and on to the terrace you face the swimming pool and the views to the ocean beyond. 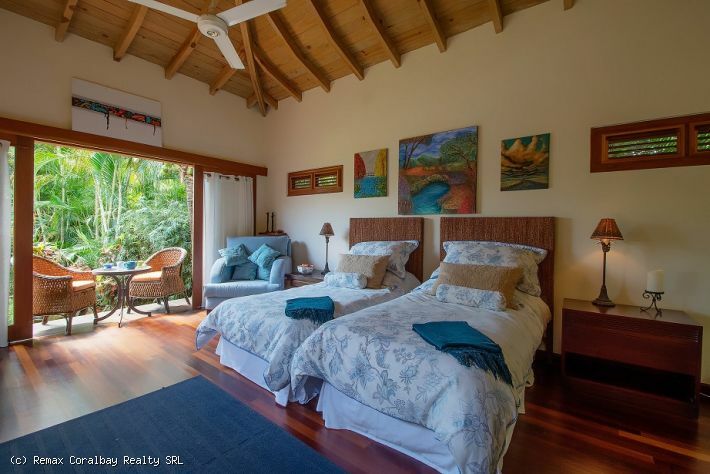 The top floor of the villa houses the master bedroom with ocean views and a private terrace. 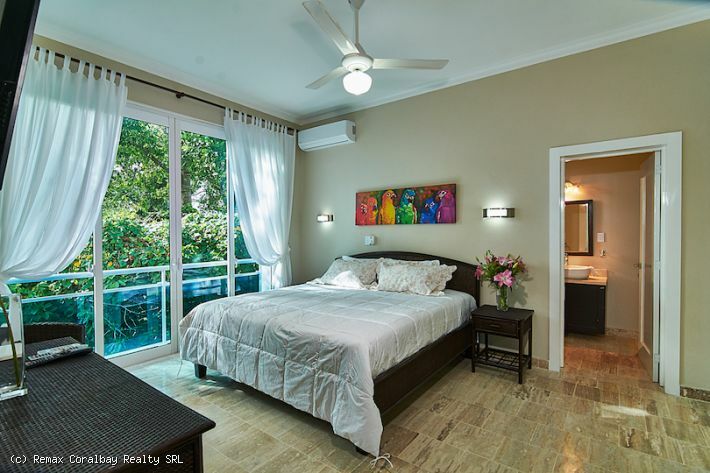 The house is beautifully furnished with high quality furnishings from Asia and all bedrooms are fully air conditioned. Additional storage / staff quarters are available lower down in the garden area, one of which occupies a 14kw generator with a auto-switch. 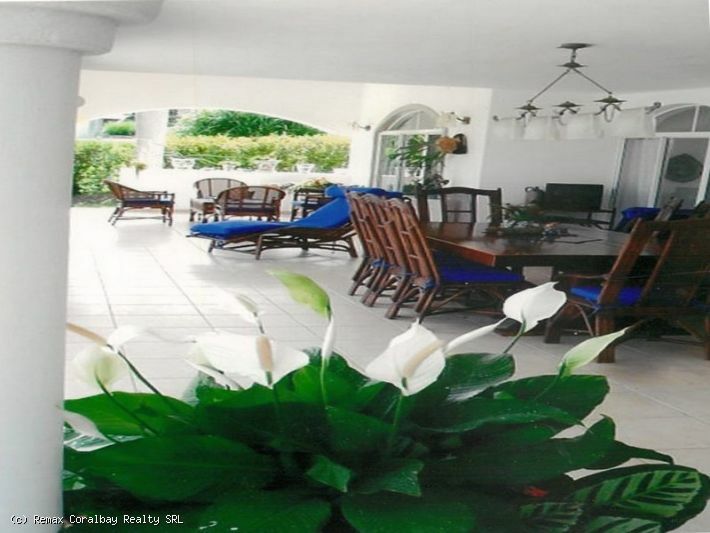 The property is offered in excellent condition. Please contact us for further details. Beautiful home with a Balinese feel ….. 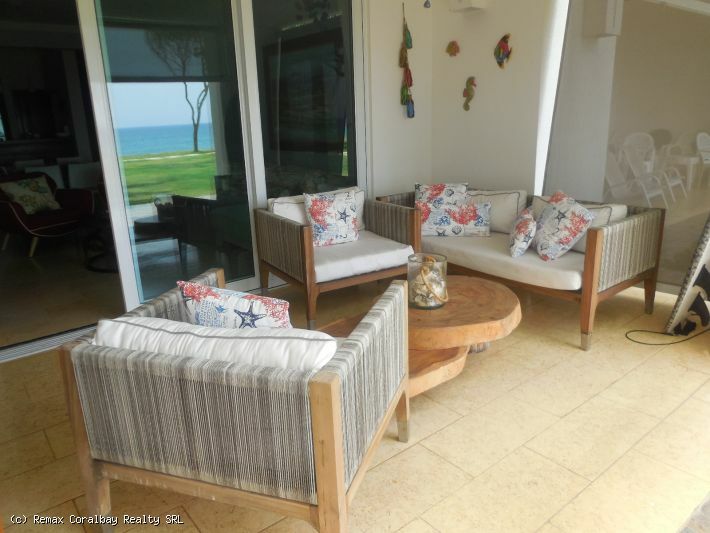 This beautifully presented home with a Balinese feel is set in one of the most exquisite resort on the North Coast of Dominican Republic. 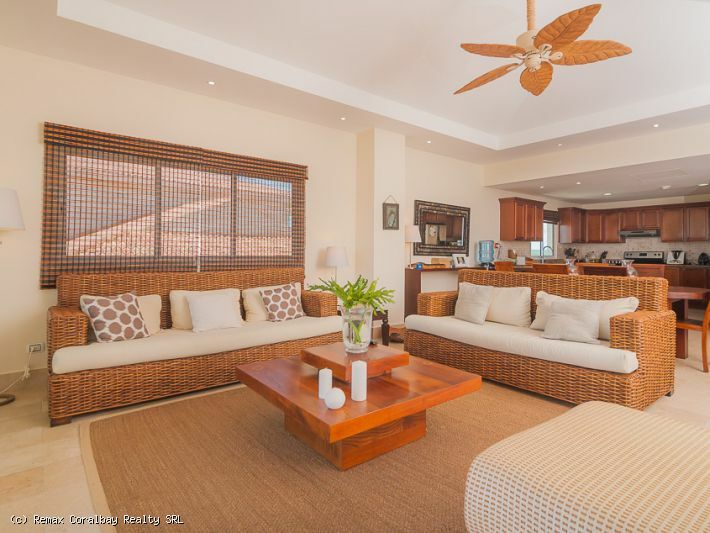 located in one of the nicest street at a very short walk to the Beach club and waterfalls pools, this one story home has been decorated to a high standard and overlooks beautiful tropical gardens and pool. Set high on the land and most importantly facing the direction of the prevailing breezes. The terraces are large with several seating and dining areas, stepping down from the terraces, there is a large landscaped garden and two level pool area with cottage at the bottom of the grounds. The house is entered via a Balinese Pagoda entrance and leads through to the open plan reception room and dining area …. an open plan kitchen leads onto the dining area and in turn onto a walled courtyard. The courtyard features a second kitchen, a BBQ, a working chimney and offers an optional choice to dine in the evening. The main reception room offers glass doors on two sides which open out onto the large entertainment terrace. Two guest’s double bedrooms both with en-suite facilities, are accessed from this reception. One of the bedroom which is currently used as an artist’ studio has french doors opening onto the courtyard. This room with the courtyard and separate kitchen could easily be changed into a separate apartment if wished. The large first Master suite is entered through its own separate study/media room. The master suite offers a double height wood cathedral ceiling. Two glass walls are designed to slide open out of sight and give incredible views and great breezes. The second Master suite is accessed from the main terrace of the house and has the same features. The house has been designed to offer sufficient accommodation for a family while offering a stylish lifestyle for a couple. 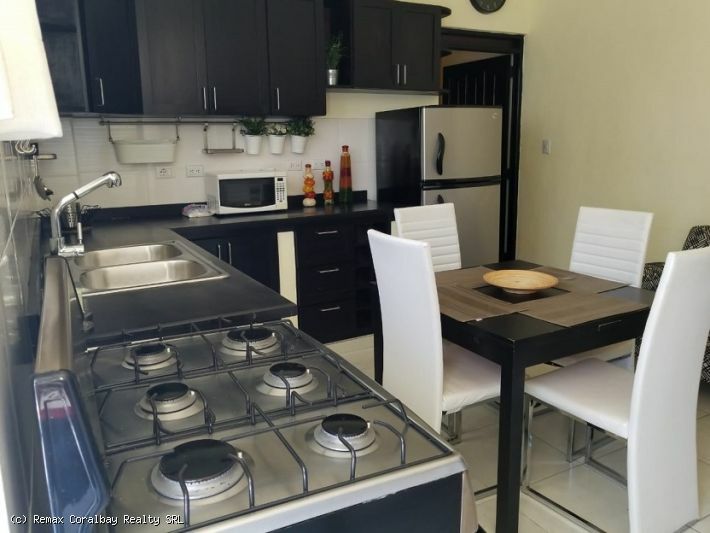 Tthe home comes fully furnished with the exception of personal effects and paintings and is move-in ready as a permanent home or second residence. Source: Beautiful home with a Balinese feel …..